Lots of people are injured every year because of a range of different kinds of accidents. You may have been struck by a car in a road traffic accident, slipped on a pavement or fallen from a height at work. In some of these cases, the reason for the accident is because of a third party and if this can be proven, then you could have a valid personal injury claim. I’ve Had An Accident That Was Not My Fault – What Should I Do Now? If you are physically attacked then you should make sure you report the incident to the police immediately and seek medical attention. If you are involved in a car accident or other road traffic accident and the other driver did not stop, then you should also ensure the incident is reported to the police without delay (i.e. immediately where possible). Medical attention should always be sought. Following your accident you should seek medical advice from the relevant medical professional, this could be your GP or someone at the hospital you have been admitted to. This will ensure that your injuries are formally recorded and can be relied on as evidence in a personal injury case if required. Make sure you keep all receipts relating to your injuries. This could be medical receipts for the treatment and care you have paid for e.g. physiotherapy sessions. It could also include travel receipts for journeys you have made in relation to your injuries. Keep a diary of your illness, recording any difficulties in mobility, pain as well as any psychological symptoms you may also be suffering from. If the type of claim you are considering is related to medical negligence, you should ensure that you keep as accurate a record of events leading up to the claim to ensure that you can recall everything when needed. Finding the right personal injury lawyer for you and your case can be crucial in the success you have. It is important to have someone representing you who is furnished with all the facts. Ensure you provide him or her with the relevant witness statements, any medical diagnosis you or your family member (if you are claiming on their behalf) has received, whether or not you are a member of a trade union. It can also be helpful to substantiate any loss of earnings you are claiming for with the relevant documentation insurance policies. 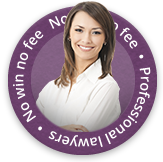 Many solicitors offer advice on a free consultation basis, meaning that you will get the chance to discuss your circumstances with your solicitors without any costs. Your solicitors will want to clearly establish the validity of your claim in a first discussion and he/she may also advise you whether or not the firm can manage your claim on a no win no fee basis. Once you have had the initial chat with a personal injury lawyer and they have agreed to take on your case, you will receive a letter from them outlining relevant points from the meeting you had. This letter should also include details of how payments should be made and the likely costs and timescales of the claim. If you have been involved in an accident of any kind and you believe there was third party blame, then please get in touch with the team at First Personal Injury. Call our experienced and understanding team today on 0800 808 9740 or complete one of our online forms.